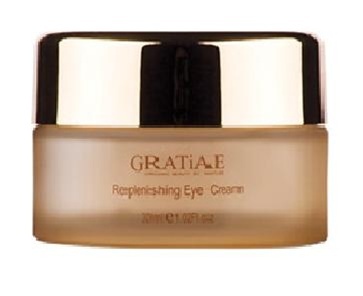 GRATiAE Organic Replenishing Eye Cream 30ml. FOIL-SEALED IN BOX. Gratiae skin-care experts have set a new standard in age-defying cosmetic products. This superior, fast-acting, replenishing eye cream was designed specifically for the delicate, sensitive area of the human eye. It combats the appearance of fine lines and wrinkles as well as reduces puffiness and black circles around the eyes. This replenishing eye cream contains a newly developed beneficial blend of thermo-mineral water, restorative natural flora, and organic oats and oil. It re-tones the skin, balances the moisture level, and boosts cell renewal. RETAILS @ R 2 000.00. GRATiAE Organic Ultrox Anti-wrinkle Serum 35ml. IN BOX. Inspired by the most modern plastic surgery techniques, this Ultrox facial serum offers an intelligent anti-aging strategy for customized anti-wrinkle and anti-expression marks effects. This serum is a targeted, concentrated formula that reaches maximum lifting effects and assists in eliminating expression marks. GRATiAE Organic Purifying Exfoliating Cleanser 120ml. FOIL-SEALED. This advanced cleanser contains thermo-mineral water, organic oils, and restorative natural flora to thoroughly cleanse and purify the skin. Formulated through advanced scientific methods, this cleanser removes dirt, debris, and dead skin cells. The result is a 5.5 pH-balanced skin that looks clean, fresh, and radiant. This hydrating facial toner removes excess traces of cleanser, dirt and make-up without drying the skin. The GRATiAE toner is suitable for all skin types. THOSE ARE THE INDIVIDUAL PRICES. 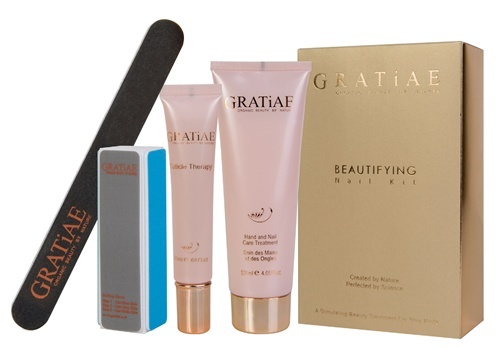 If you purchase the lot I will include the Cleanser and Toner as a free gift plus include the GRATiAE Nail Beautifying Kit valued at R 600.00 as a bonus gift. That’s a saving of R 1 800.00!! Nail File, Buffing Block, Cuticle Therapy and Hand treatment. A super smoothing hand and nail care treatment blended with organic sweet almond and jojoba oils. This lightly scented treatment glides on and absorbs to help heal and protect dry and dehydrated skin. Skin resumes a softer, brighter, more evenly toned, more youthful appearance and feel.